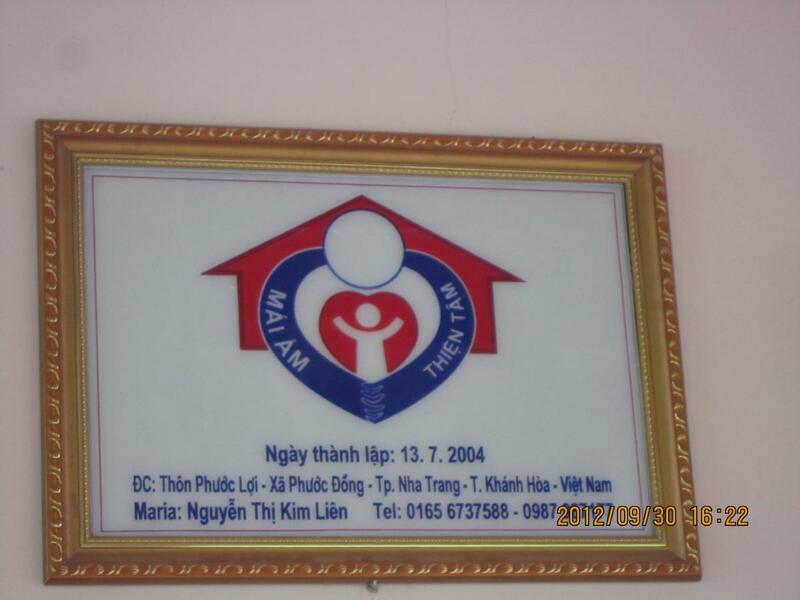 On September 30, 2012 a generous group visited the Mai Am Thien Tam Orphanage. 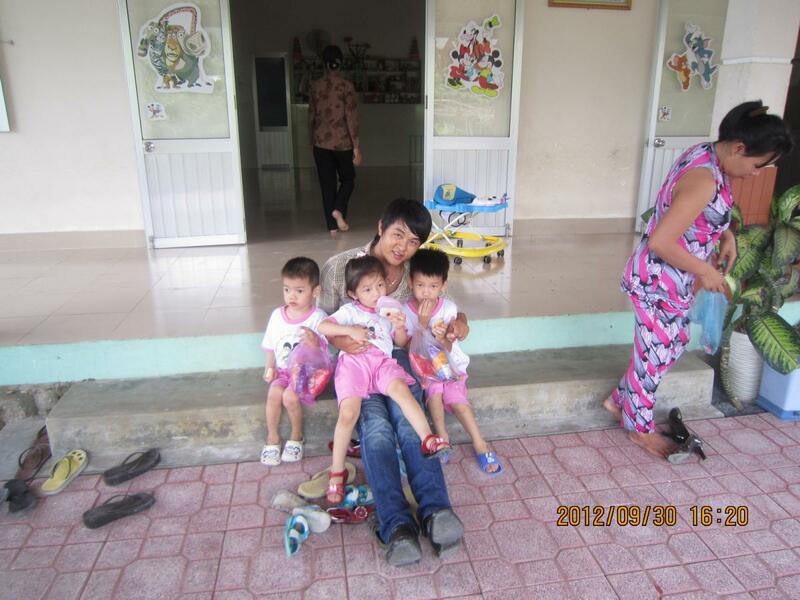 One of our Lead Coordinators, Ngoc, was contacted by some friends in Nha Trang about visiting the children at this small orphanage south of town. 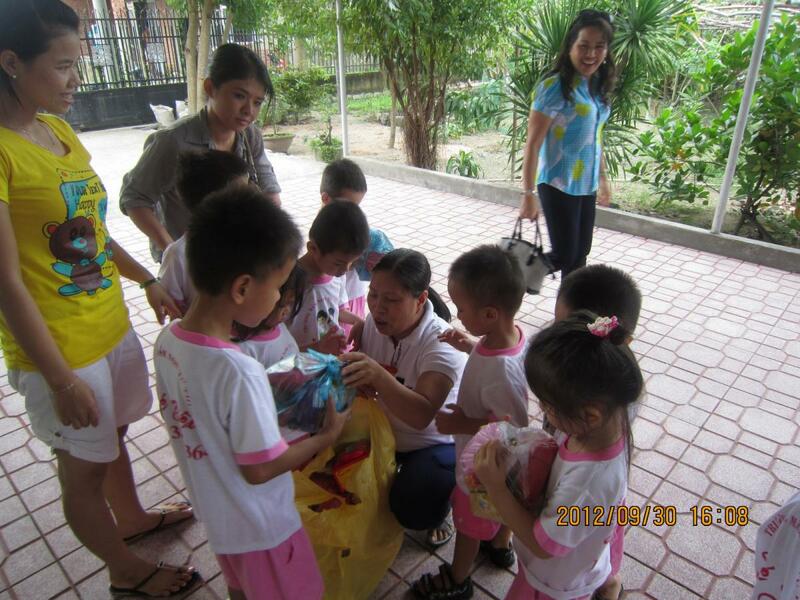 They had been there previously, and Ngoc jumped at the chance to help them with their efforts. 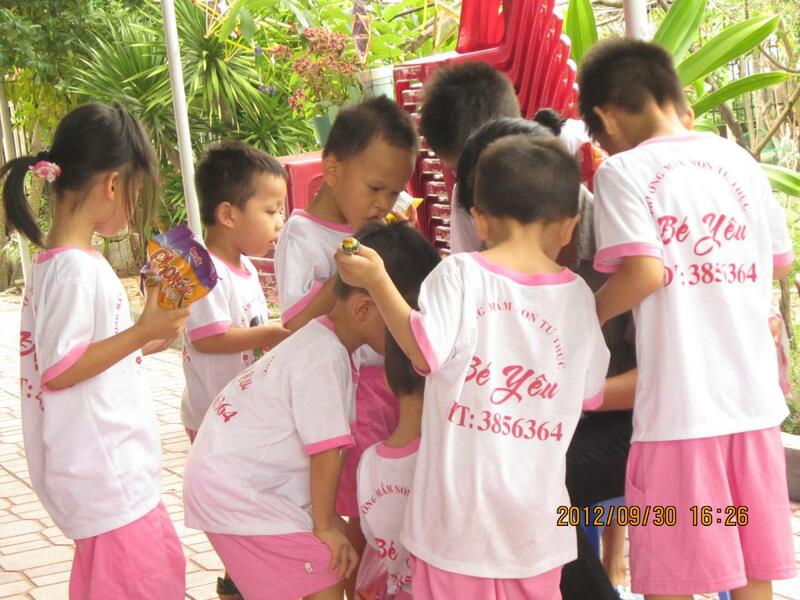 Founded in 20008 by Nguyen Dinh Chi and Nguyen Thi Kim Lien, this orphanage cares for 13 children aged 1 to 6. 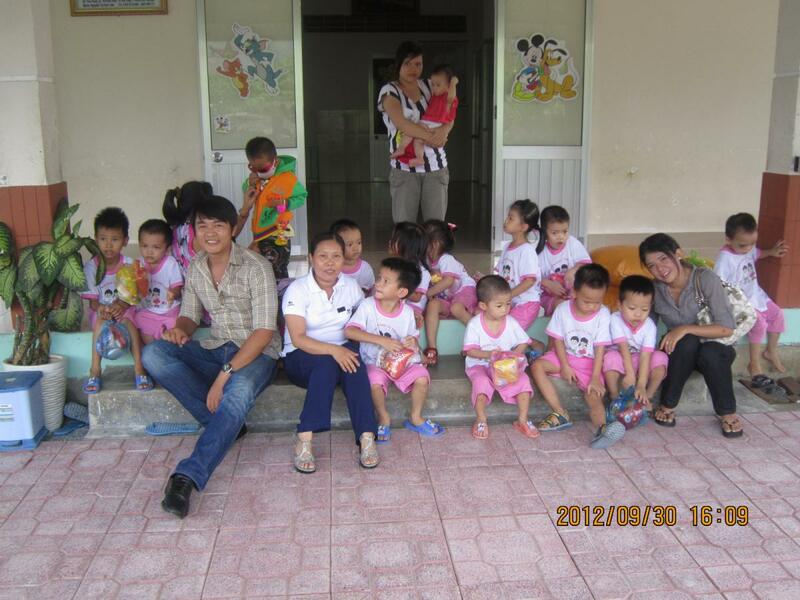 A former orphan himself, Chi made his home into an orphanage to care for abandoned children in the area. Also at the orphanage is a young mother who had no place to go after having her baby at the age of 15. School-aged children go to public school, and all of the costs are paid for entirely through donations. 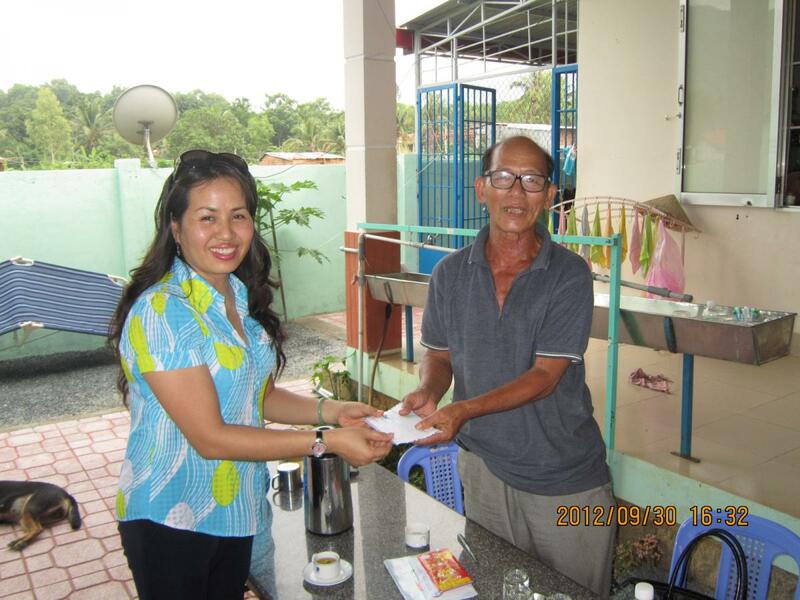 On the day of their visit, Ngoc’s friend Thuy donated 50 kg of rice plus a generous amount for their monthly expenses. 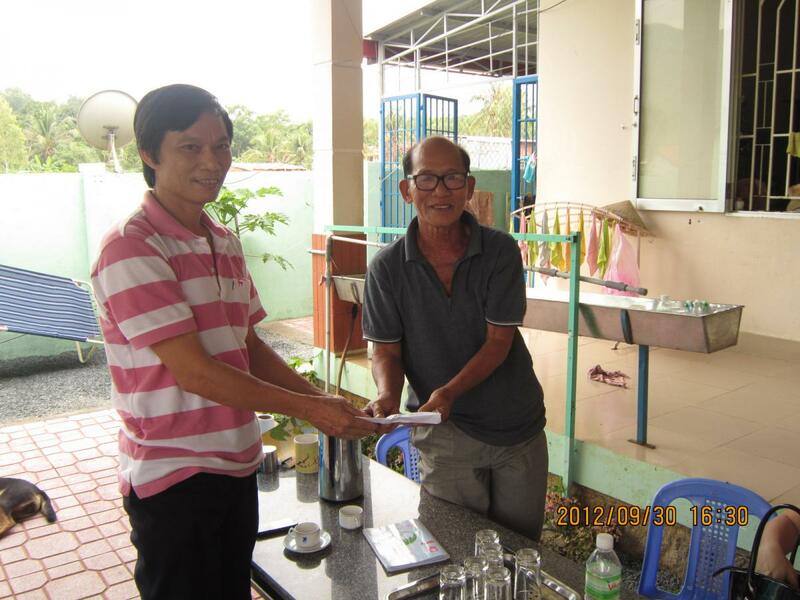 Two of the visitors that accompanied Ngoc were Professors Phu and Hien of Nha Trang University, who made a substantial donation to repair a classroom at the orphanage. 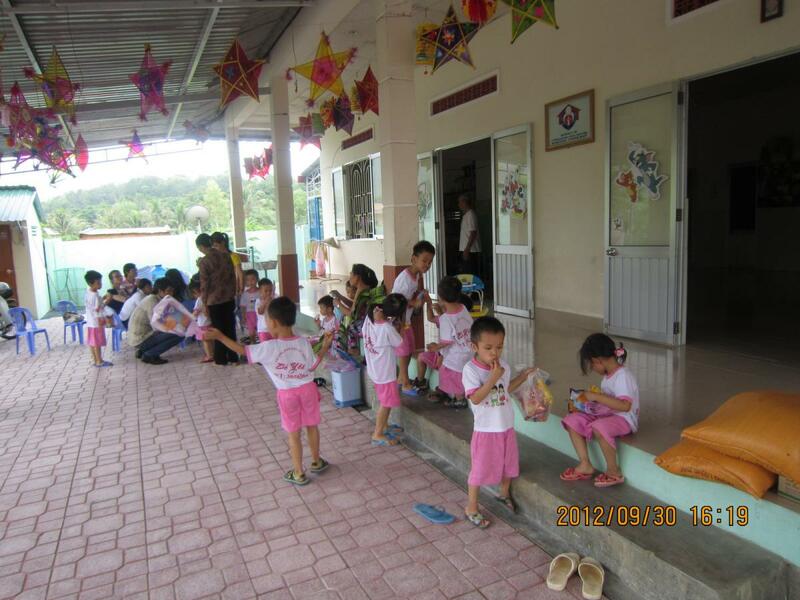 The previous month, Professors Phu and Hien had made improvements to the yard to make a play area for the children. 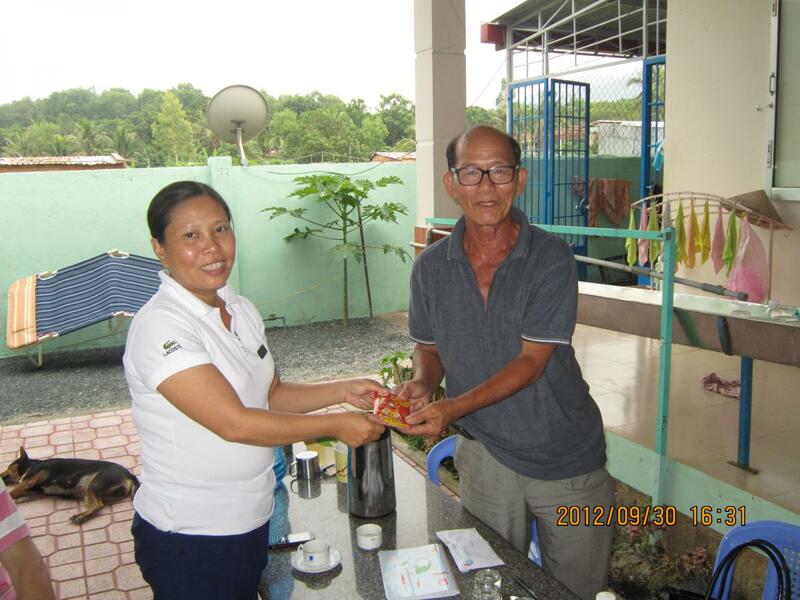 Ngoc and her family also made a kindhearted donation to help the nuns prepare a celebration for the Mid-Autumn Festival, including buying snacks, candy, milk and moon cakes. 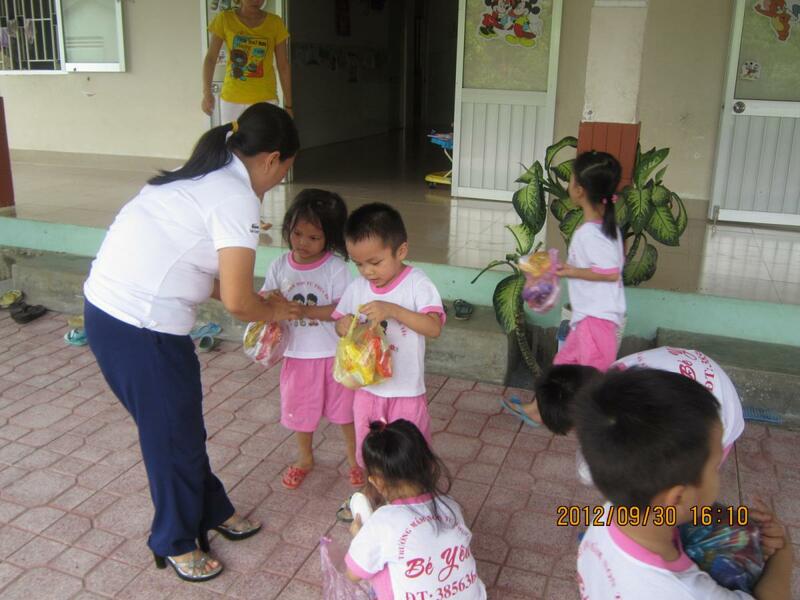 It was a wonderful day with the children, and we hope to have more visits at Mai Am Thien Tam.